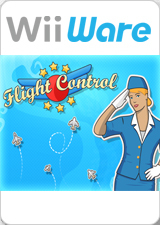 Flight Control: control the skies in this engrossing worldwide hit from Firemint. Play solo or with up to three friends. Take on the role of an air traffic controller at an increasingly busy airport. Direct aircraft to their landing zones, but don’t let them collide. Sound easy? As more and more planes begin to arrive, you’ll need nerves of steel and smart strategy to keep the chaos under control. The graph below charts the compatibility with Flight Control since Dolphin's 2.0 release, listing revisions only where a compatibility change occurred. This page was last edited on 16 January 2018, at 06:24.